Tee off with the Pawn Stars when a USGA Rules of Golf book from 1934 putts into the shop. 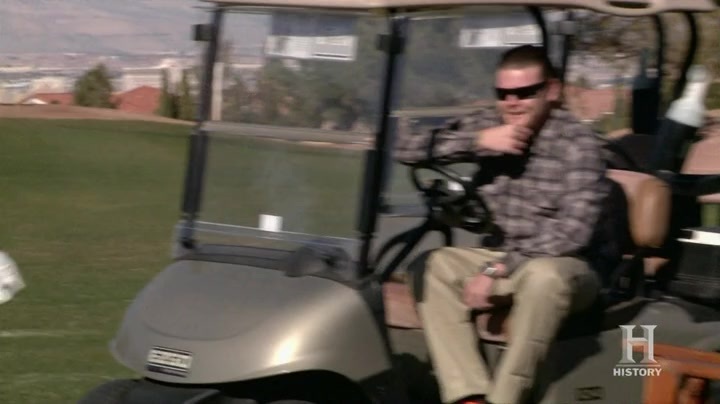 Will Chumlee be able to drive home a piece of golf history or will it turn out to be a bogey? Then, Rick deals with some "sweet emotion" when he checks out an organ owned by Steven Tyler. Will he be able to cash in on this high note or will he "dream on?" And later, Chumlee takes a big swing at golf after he and Corey make a little wager. Will the odds be in his favor when he gets help from legendary trainer, Butch Harmon, or will he be too deep in the rough?